Good-bye for now. See you at our new home. This URL has been retired as part of ATIF’s rebranding initiative. 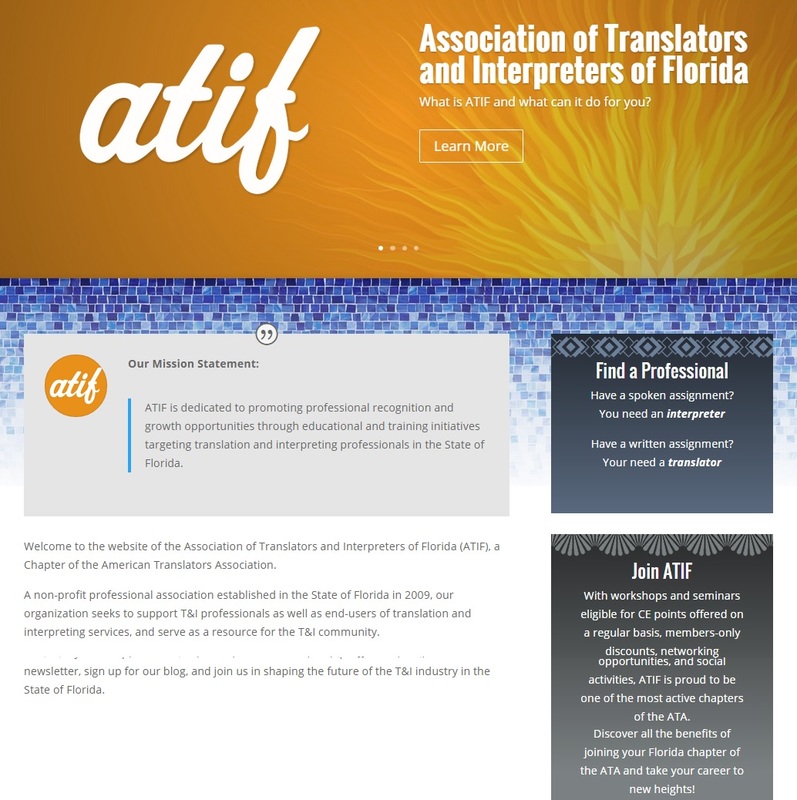 We want to thank our 771 followers and invite you to come visit us at our new home: www.atifonline.org/news-events – and sign up for the RSS feed. Filed under: Uncategorized |	Comments Off on Good-bye for now. See you at our new home. If you were to engage Daniela in a conversation in Portuguese, you’d not be able to tell she is not a carioca*. At least not in the first few minutes. It is not only the lack of an accent, it is also the attitude, the personable style and overall prestatividade she puts forth. That prestatividade – solicitous attitude – got her a big job in ATIF. No, not Vice President. I mean before that. Our former President, Linda Dunlap, entrusted Daniela with the daunting task of revamping our website. And now, almost three webmasters, two years and two boards later, we are ready to unveil ATIF’s new site. But it did not end there. Let Daniela tell it to you herself. ATIF: I understand it has not been smooth sailing throughout the process, which is natural. What were the hardest parts? 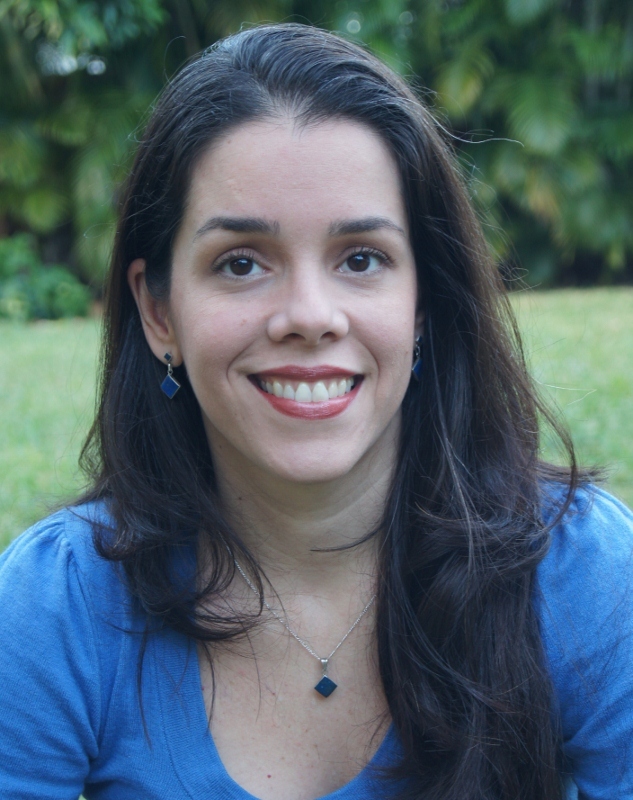 Daniela Guanipa: I had been appointed Secretary by Linda Dunlap to finish Sol Vargas’ term, who had recently moved to California. So, not only was I learning the ropes as a new board member, but I was suddenly in charge of a gargantuan project. Sure, I had experience with technology, but I had to start from scratch and play detective for a while to discover which were the truly important things—both for our members and for the Board. Next up was finding the right provider. This was key and it was the heart of the matter. Having the right partner to work on a task of these proportions was of the utmost importance; after all, I was going to be working very closely with this person for a number of months, and we needed to be a good match in terms of design and communication style, project management, etc. I did an extensive research, presented four proposals to the Board –from vendors located as close as Sunny Isles, and as far away as Spain. And finally, we chose Jon Lee, a freelancer based in Canada. ATIF: Did you expect the process was going to take this long? D.G. : I knew it would take at least six months, but during the last months of 2014, things started to get complicated. Jon wasn’t pleased with the content management plugin he had found –mind you, this is the spine of our website; then, we had the tragic events in Ottawa, which left him without Internet access for a few days, and by the time we were back on our feet, the holidays were upon us. However, this delay ended up being a blessing in disguise: Jon discovered PressPoint, a very powerful plugin that offered the perfect solution for us. At the time, some of the features of PressPoint were in beta stage, so we had to wait a little longer. But thanks to the fantastic support and collaboration with the developers at PressPoint, we were able to get the incredibly wonderful results you (will) now see in terms of directory search capabilities, profile handling, and many more techy-stuff that makes us geeks happy. ATIF: What are we getting in the end? D.G. : It is a paradox for me to say that words escape me when it comes to describing the new website. I think ATIF’s new website should be experienced. After listening to the Board and to some of our members, I envisioned our new website to offer a clean, professional look, but at the same time, to reflect the Florida warmth without looking like a travel agency (no flamingoes, please!). Remember what I said about having the right partner for this endeavor? Jon was excellent at this; he’d listen, play with elements, we’d discuss it and we’d do some more work until we found the right design. This is why I say you need to experience the site: to feel its vibrant energy, the carefully chosen design elements, combined with the right amount of text, laid out in a specific way, always keeping our users and visitors in mind. Our Professional Directory is one of the biggest accomplishments, both in terms of search capabilities, and, from the members’ side, a more organized and professional-looking profile. From the administrator’s stand-point, many of the membership-related features are now automated, so it’s more of a self-managed website. Our payment platform has also changed, and we anticipate users will have less trouble signing up and paying for events, for example. And all of the ATIF-related outlets are now managed and live under one roof: our website. So, we no longer have a separate blog. All of ATIF’s resources are now at http://www.atifonline.org. And many, many more things that I hope users will see and feel when they start interacting with our website. ATIF: I also notice that we are not only getting a new house and a facelift, but a new logo too. What happens with the old one? D.G. : This is a legacy from Ms. Dunlap and we created the feel of the new website to integrate with the new logo. If you look closely, the lines of the font in ATIF’s new logo resemble those of our parent organization, the ATA. We have included a message in our new website about the change of logo. You do not have to worry if you are currently using the previous logo in your stationery; that’s the purpose of this message, so the public knows about this branding transition. Members can download a copy of ATIF’s logo and use it as per our rules; however, the old logo will no longer be available for download. ATIF: We on the Board are thrilled to see the results of your efforts, Daniela. Now, it’s the members’ turn to express their feelings towards our new online home and appearance. The new site will go live on April 1st. Please visit your new site and let us know how you like it. * carioca – Brazilian Portuguese from the Tupy Guarany term kara’i oka (supposedly meaning “white men’s house”). It’s used as a demonym to indicate people native to the city of Rio de Janeiro. As media becomes more nuanced, new modalities emerge, authors use new channels to distribute their thinking–and even as the “crowd” becomes a legitimate source of information (see wikipedia, twitter, erc. ), new rules for governing that reality will continue to emerge. Read more on Teach Thought. Professor Borgenheimer will be your guide in this 6-hour workshop on Sunday, March 29. From the ATA Chronicle by Mary Geisenhoff: It’s Tax Time. Are You Ready? As tax time is upon us, there are several tax issues and deductions that are particular to translators, so let’s explore a few essential things to remember. Read more at ATA The Chronicle Featured Article. Filed under: Uncategorized |	Comments Off on From the ATA Chronicle by Mary Geisenhoff: It’s Tax Time. Are You Ready? How do translators showcase their talent to translation agencies? There’s a lot to be said for being creative and different, but, when time is of the essence, a CV that doesn’t look like a CV can obstruct the reader on their mission to locate your key data. Read more at ATA’s The Savvy Newcomer. Filed under: Uncategorized |	Comments Off on How do translators showcase their talent to translation agencies? Did you miss the early-bird deadline? Don’t let it stop you. Tony Rivas has prepared three information-packed hours to share with you. Be there!